"Shall I Be Murder? 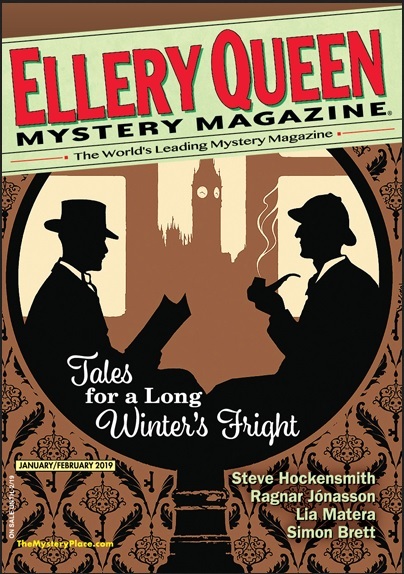 ", by Mat Coward, in Ellery Queen's Mystery Magazine, January/February 2019. A lot of good stories in this issue, by the way. "As for myself, I belong to that delicious subgenre, the self-confessed unreliable narrator." This remarkable tale-teller then tells us his tale but how much of it are we to believe? Certainly some of it is a lie, but how much of it? He explains that a doctor told him he needed to take walks for his health and, since he is allergic to dogs, he wound up walking to a self-storage facility. There he rented two units, giving up one after setting up a hidden camera in it. Then he waits for the right type of people to rent that facility. That much of his story is probably (?) true. Well, part of it, at least. But what follows is a riddle stuffed into an enigma. Is he a blackmailer? A killer? Something else entirely, as a police officer suggests? It is not just that he is lying but that doing so, publicly and deliberately, is part of his plan. Which he cheerfully admits. One imagines the prosecutor tearing out his hair, but the reader will have fun. 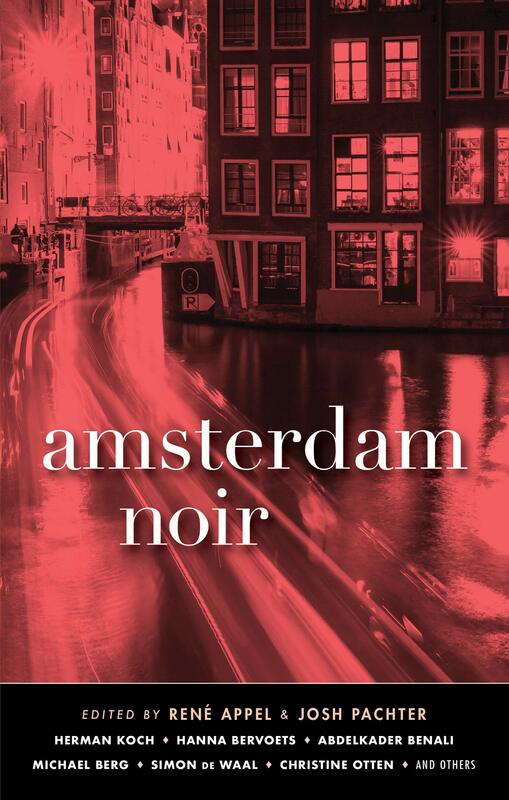 "The Stranger Inside Me," by Loes den Hollander, in Amsterdam Noir, edited by Rene Appel and Josh Pachter, Akashic Press, 2019. You could call this a ghost story but you probably won't. The narrator is a troubled young man who gets regular nightly visits from Ted Bundy. The deceased serial killer (we never read his actual words) wants him to carry on the tradition by killing women who resemble ones who got away from Bundy. A very creepy story, although thankfully not filled with gore and horror. Many surprises along the way. 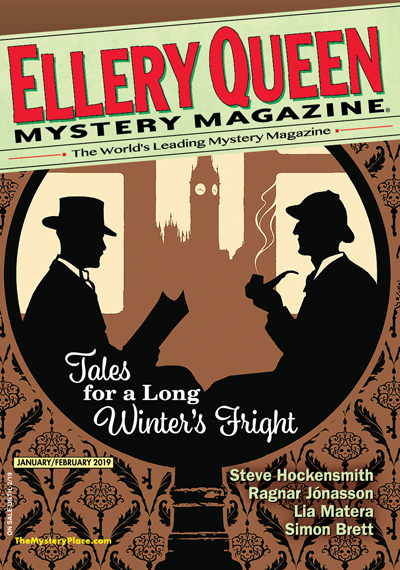 "The Case of The Truculent Avocado," by Mark Thielman, Alfred Hitchcock's Mystery Magazine, January/February 2019. This is the third appearance in this space by Mark Thielman. The first two were somber tales featuring actual historical personages. The current entry is not like that, as you can probably guess from the title. The narrator is a part-time private eye who makes most of his living dressed as a potato, promoting the cause at various supermarkets. He says the Potato Board calls him the "Spud Stud." Lately he's been doing his thing at Uncle Bob's Natural Food Emporium, but someone murdered Charlie, the produce manager, who was dressed as, yup, an avocado. The deputy suspects our hero. His only ally is an actress dressed as Babs the Baguette. No, not somber this time. But enjoyable.